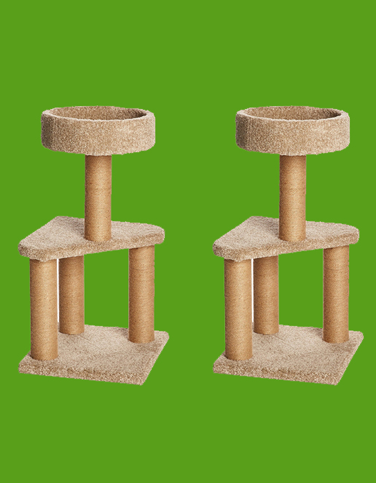 NeatyKitty Cat Tree made from high quality sturdy pressed wood and soft faux fur for comfort. Injury prone to Cat while playing? Inferior quality of Fur material? Offering good height allows Feline to relax and enjoy.